President Trump at a rally in Charleston, W.Va., on Tuesday. 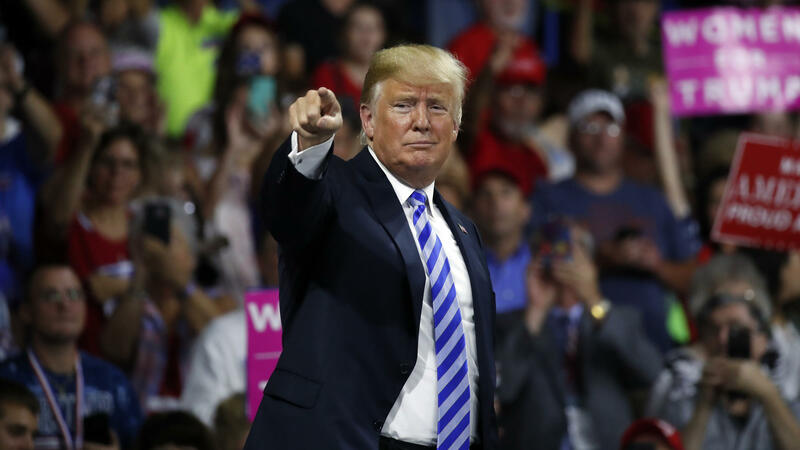 It was the latest 2018 battleground state where the president made his midterm campaign pitch to voters. With President Trump ramping up his campaign schedule ahead of the midterm elections, his 2018 campaign message has taken shape in a consistent stump speech. While it can vary, it does include a lot of the same themes as the president promoted in 2016 — including a promise to "build the wall," attacking the media and boasting of his own success. It's Trump's message — which is clear when it diverges from the message Republican leaders on Capitol Hill are pushing, as they try to hold on to power in November. The NPR Politics team has examined the speech Trump gave this week in West Virginia, annotating the text below to identify how Trump is framing his 2018 campaign message.